These 5 1/2" x 8 1/2" single flat cards can be used as response cards, invitations or postcards. Made from a 10 Mil (87lb cover, 234 gsm) Double Sided Laser Gloss cardstock. 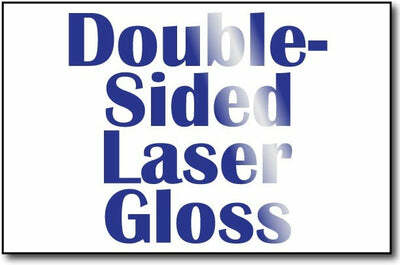 These 5 1/2" x 8 1/2" single flat cards are laser compatible only!